Gift cards have become the perfect gift for many consumers. When not certain what to buy someone for a birthday, holiday or special occasion, a gift card from their favorite retailer is a great choice. For retailers, a gift card purchase ensures the holder will purchase merchandise from their store, securing a future sale. You can’t visit a retailer, grocery store or even a convenience store today that doesn’t have gift cards for sale. When gift cards or stored value cards first caught on in retail, many retailers were not prepared for the fraud that quickly took place. As gift cards became more popular, retailers began to see and report more incidents of fraud. Gift card fraud occurs in all types of retailers, regardless of segment or size. Throughout the years, we have seen many sophisticated methods of fraud, some being attributed to organized retail theft, and other methods that even today seem very rudimentary and simple to conduct. How are the losses occurring? To best prevent losses, one must understand how the losses can occur. With stored value cards, it requires protecting the card itself as well as how the card can be used throughout your sales process. Here are some points to help make certain your company is properly protecting your stored value cards from potential theft or use in a fraud. The first point of protection should be the card itself. 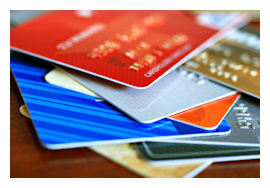 Gift card providers are always developing new security features to better protect the card. Pin numbers protected by scratch off labels deter the card from being manually utilized. Encrypted magnetic strips can prevent card duplication. Unfortunately, our experience with many retailers both large and small, have seen protection such as scratch-off labels not utilized in order to reduce costs. A short-sighted decision that can easily result in loss. When it comes to frauds involving tenders, the point of sale is often where it occurs. Understanding how your point of sale issues, redeems and cashes cards and when the card is activated in your POS system can help you to determine various risks at your point of sale. Knowing when the card is activated at your point of sale can help determine your level of vulnerability to gift card fraud. Many retailers allow their cards to activate once scanned as an item for sale, prior to the transaction being tendered and complete. This allows the retailer to become vulnerable to several methods including "laundering" of a gift card, credit card or check fraud, or known methods of organized gift card fraud. Other areas of system vulnerability include the possible post voiding of a gift card, or shutting down or unplugging the register in the middle of a transaction after a gift card is activated. The latter two are known methods used by employees to steal from a retailer. Your point of sale system as it pertains to gift card issuance and redemption will help to protect your company from gift card frauds. Where and how you display gift cards can also determine vulnerability to fraud. If cards are displayed in unorganized fashions or not properly maintained at the store, then how easy is it for a “customer” to take several blank cards and duplicate them for fraud. Many retailers are “packaging” gift cards with only the bar code visible so they can activate the card. This packaging provides better protection against someone trying to steal, duplicate and return the card. If you company doesn’t use any packaging to protect your gift cards then keep your cards in an area where they can be seen by employees. This will help to deter the theft of blank cards. As we speak with loss prevention professionals regarding gift card or stored value card frauds, one might think the largest amount of theft is from external fraud attempts. Interestingly enough, their biggest fraudsters are their own associates. The use of exception-based reporting applications play a large role for many retailers in trying to detect potential fraud or exceptions related to gift card use. Same day purchase and redemptions or gift cards used in an employee sale are but a few of the key reports used to prevent internal theft involving gift cards. The internal factor related to gif card fraud is not only a loss prevention concern, but a customer service concern. How often have you or someone on your team had to talk to a customer who doesn’t understand why she can’t use her gift card because it doesn’t have a balance? Gift Cards programs are most certainly here to stay and the use of stored value cards will only increase as we continue toward a mobile environment. Understanding your gift card program, developing proper safeguards with the card and your POS System, and auditing your program for issues will better protect yourself from points of fraud. Decreasing the opportunities and likelihood of incidents will then allow you to reap the benefits of a good gift card program. Tomorrow's part two will cover how they do it including known methods of gift card fraud. David Johnston has served the loss prevention industry for over 26 years, holding various positions as a practitioner, consultant and solution provider. His experience and expertise throughout the years has focused primarily on data analysis, loss prevention technologies and the development of strategic initiatives. Currently the Director of Business Development with LP Innovations, David is responsible for bringing LPI’s solutions to new clients and retail verticals. You can reach him at djohnston@lpinnovations.com or connect with him on LinkedIn.